Today, when you order "Propless Mentalism (Vol 12) by Peter Turner", you'll instantly be emailed a Penguin Magic gift certificate. You can spend it on anything you like at Penguin, just like cash. Just complete your order as normal, and within seconds you'll get an email with your gift certificate. 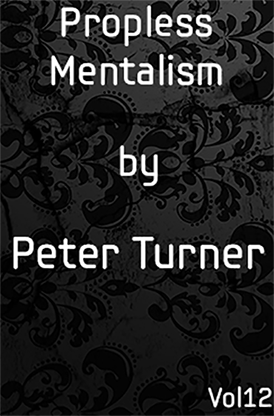 This is the 12th Volume of Peter Turner's Mentalism Masterclass. The master of Propless Mentalism, Peter Turner now offers a full series in this topic. The definition of Propless Mentalism is, at best, arguable (this is discussed in length inside this volume). The definition that Peter has stuck closely to is: the participant never writes anything down, and the only time the mentalist writes anything is to reveal information. Peter has tried to make the material as sure-fire as possible (not chancy or bold), whilst keeping the process as small as possible - no long-winded, drawn-out presentations. If the presentation isn't as quick as (if not faster than) utilizing traditional methodology, it isn't in this volume! 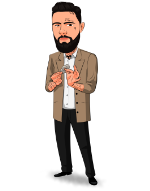 Peter has tipped some of his most private mentalism routines that can be done over the phone and via Skype. Anyone who has read the past volumes knows that he puts a lot into them to ensure they are as in-depth as possible. Peter even tipped his close-up Q+a! Even if Prop-less mentalism isn't your thing, you'll be pleasantly surprised with this volume, and it might change your opinions. With contributions from Fraser Parker, Pablo Amira, Thaddius Barker and more!